Can lease cars be repossessed? | What happens if I default on my lease payment? What happens if I default on my lease payment and can lease cars be repossessed? The simple answer to can lease cars be repossessed is yes. If you fall behind on your payments or default on your contract then the reality is that your car could be repossessed. This is usually a final resort. Finance companies will typically want to work with you to avoid repossession. They will attempt to contact you if you fall behind on your payments. During this contact, they will discuss your options with you and try to come to an arrangement. Should these discussions fail. You may continue to fall behind on your lease payments. 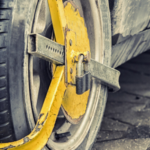 At this point, there are two types of repossession that can occur for a lease contract. In this article, we'll take you through both types of repossession. We'll inform you of what happens in each instance. And tackle the most frequently asked questions around the subject.